Order in the next 1 hour 25 minutes for delivery on Thursday, April 25. For engraving, order in the next 26 minutes for delivery on Thursday, April 25. This 1ct. tw. 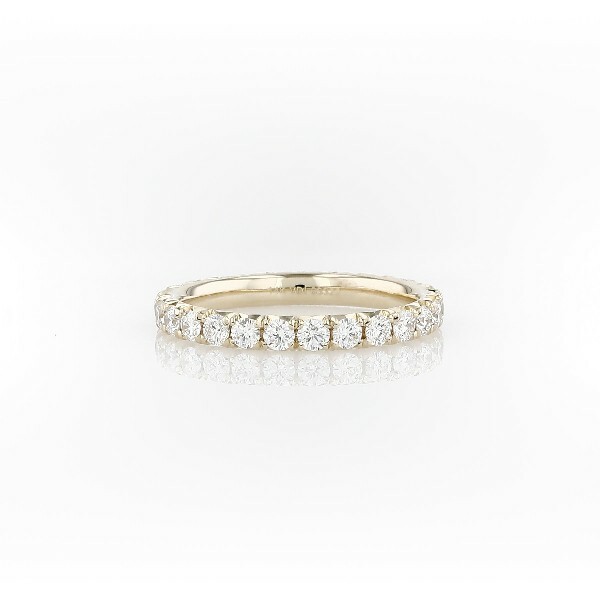 pavé diamond eternity ring showcases a full circle of round brilliant-cut diamonds set in polished 14k yellow gold. The endless sparkle of this refined style is perfect as a wedding or anniversary ring.